One week down and the Oceanus trial is going well. 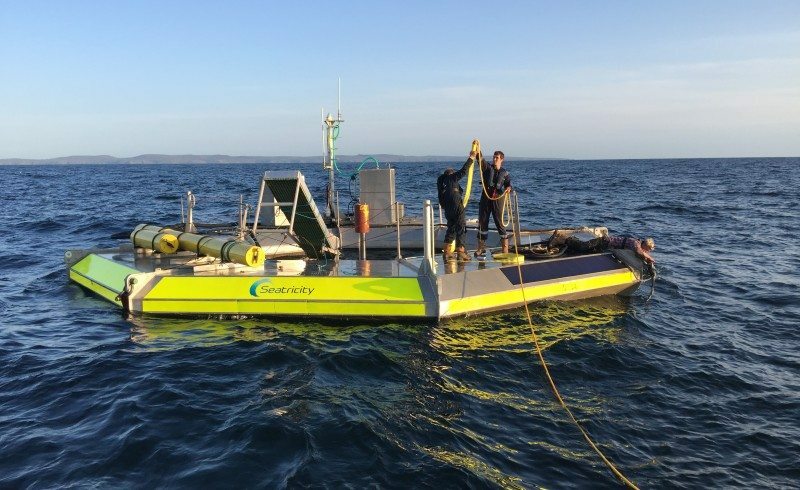 As previously reported, the Oceanus 2 has demonstrated its capacity to self-start and initial signs are highly positive. The commissioning process continues and we are now calibrating sensors and beginning the deliberate trial process. Our progress with more detailed trials will however need to fit in with cable laying operations at Wave Hub so our ability to visit the device regularly to observe progress at first hand and manually adjust valve, calibrate flow rate sensors and alter other settings will be limited for a couple of weeks. First steps will therefore be to slacken the main tether by lowering the pump in order to conduct static pressure tests – to ensure that the system can maintain internal pressures at sea without undue leakage.